Since it a International Women Day – there has been many blog, articles and workshop, movie created to empower women and celebrate international women’s day, but the question is are women really empowered for their life/motto? Does liberty and thought of expression are allowed in today’s world, I think very few, but slowly and steadily the Vedic age will be coming where women were given equality and were given Vedic knowledge as Men and given position as Judge in Shastrastra and other respectable posts as Adviser in King Court. To commemorate or marking Women’s Day – I won’t flatter anyone nor I narrate any story of any noteworthy women – rather I would like to mention about those Dynamic personality who is moving equal step with Men in today’s corporate and social world. Their presence is not only showing the enthusiasm and high energy but also depict the Efficiency as Women & Human. 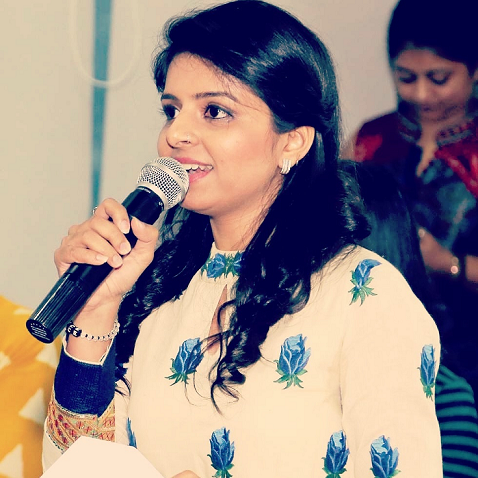 Henceforth – I hereby present my colleague and close friend of mine – Riddhi Doshi Patel who is on the mission to empower and spread awareness women right and its strength. 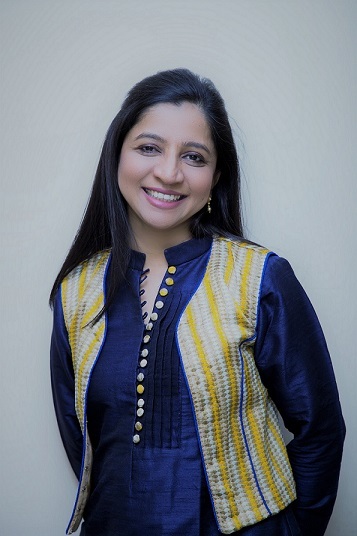 Riddhi Doshi Patel is a TEDx Speaker, Certified Graphologist, Child Psychologist, Performance Skills Trainer and a behavioural Coach having 15 + year of experience in Consulting, Training and Spreading awareness on Mental Health and Women Development( LAJA). Pioneer of Creative Programs/Workshop like Tango Teen, KHOJ – Ang se Aatma Tak, Truly Me & Art Ally. Been NLP Trainer and Dance Movement Therapy Practitioner and Integrated Art therapist – Riddhi has created a tool which uses the creative process of making art as a safe way to represent your inner experiences, develop awareness and support personal change. 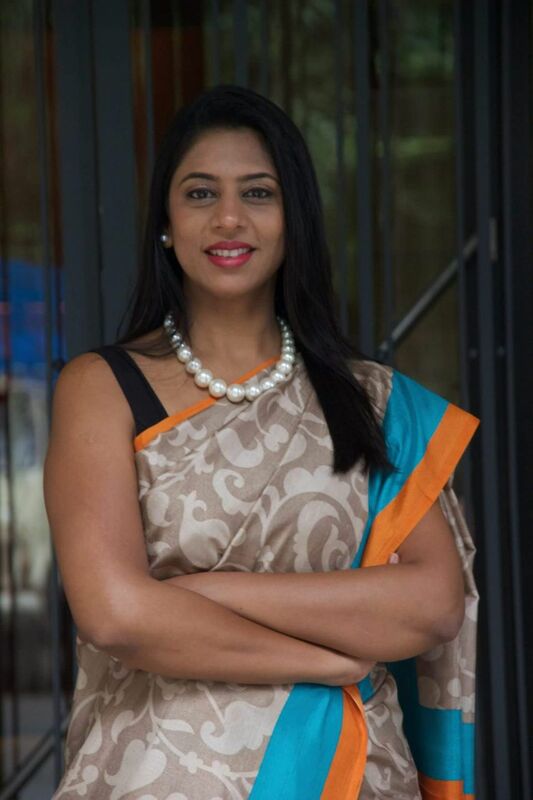 Laja – LAJA is India’s first forum by a woman for a woman, that aims at women empowerment. LAJA is a forum introduced by a woman, for women and aims at empowering women externally and internally with the focus being on ENABLING women. This quote is so true when it comes to TATVA – A Laja Event. and it is a success. The Laja team together with women from all walks of life came together to discuss, debate and deliberate about ‘#Feminism’, ‘#Selfworth’, ‘#Takingcontrol’, ‘Giving as much as receiving’, ‘Women’s rights’, and so much more. The gathered women were ably supported by men who believe in the potential of women and who celebrate the success achieved by them. 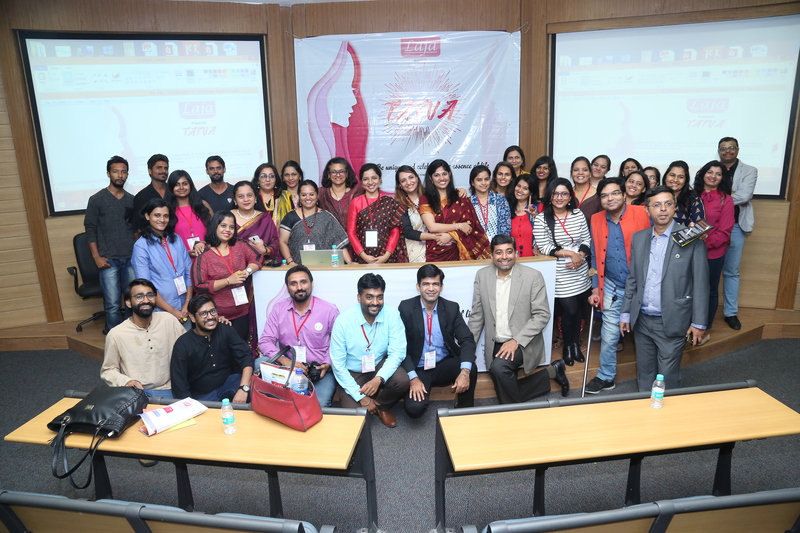 Any event that focuses on women succeeds, but what set the Tatva event apart is the fact that it was not just a success but was also an awakening for all the attendees. Knowing that there is nothing that is impossible, understanding that it is important to self-evaluate and reinvent oneself, realizing that there are others who have faced similar or even worse situations and yet come through and finally being inspired by women who are just like them was what made this event unique. Tatva – The Essence of Life organised by Laja – Riddhi Doshi PatelSo let start with the beautiful journey of Laja – Riddhi Doshi Patel. 1) How did you start your journey of entrepreneurship? I started tryst with entrepreneurship when I was in 1st year of college. My journey began because my father encouraged me to spread my wings and try doing what I loved. Initially, it was tough because I was very young and had no knowledge about running a business, but with support from my family, I decided to dive in. To start off, I asked my father for funding but he denied stating that I needed to learn the hard way. I, therefore, started a training academy with dance classes and with the money I made there, I started working on fulfilling my dream of being a successful entrepreneur. 2) May I ask you about your family background ( Your Parents, Education ( formal and Technical Edu), Struggle in those times of learning). My Father Ajay Doshi is Electrical Engineer from London and Mother Nalini Doshi is an Ayurvedic Doctor. I am from an open-minded family where education is given preference and freedom of expression are encouraged. We are very spiritual also and I am married into a family which is very supportive. So yes I am blessed to have both families encouraging and supporting my every endeavour. My formal Education is an MBA in HRM, after which I have done my Masters in LAW –LLM. I am a Certified Professional Trainer and also a Certified Child Psychology and Graphologist from IGA-London. When I came to India after learning Graphology not many people knew this science. 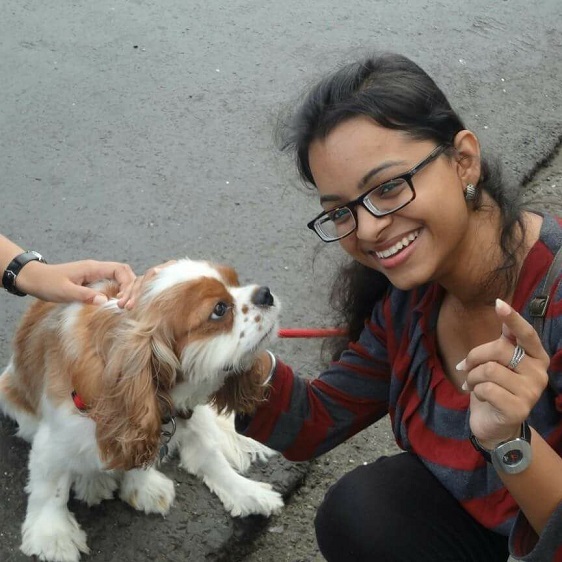 I was interviewed by Times of India and they approached me with a bunch of papers – samples. Unfortunately, in the end, they twisted the concept of graphology and they quoted that Graphology can be only used for marriage compatibility. Thankfully the scenario now has changed and there is widespread awareness about graphology. 3) What were the initial challenges you have to face when you started your journey in business/ entrepreneurship? I did not have money to work with and my father told me if you want something and want to start your venture then start it with your own money! So my journey was not a bed of roses, however, my father ensured that I had a system to fall back on. He wanted me to be independent and self-sustained. His responsibilities were up to my graduation and then further whatever I had to do, I had to do on my own. 4) What is your greatest fear, and how do you manage fear? Fear is for my child because this is our 3rd child after having lost two during pregnancy itself. As parents, my husband and I are always worried about our child. I try to overcome the stress I feel through age-old wisdom, some meditation and with some strong conversations with myself. 5) What have been some of your failures, and what have you learned from them? After the first initial 6 years of persistent hard work and excellence, there was no business and people used to make FUN of me. There was a phase wherein I thought about shutting down business. Thankfully I did not close it. I was concentrating on my academy and training and also started working as a freelancer. I’ve learnt to believe in myself and my capabilities and continue working without paying heed to naysayers. 6) What has been your most satisfying moment in business? This journey has given many satisfying movements but talking at TED-X was like the WOW movement. It was like a dream come true. Apart from TedX, practising as Psychologist I get satisfaction and somewhere when I get connected with parents I feel nice. 7) How has being an entrepreneur affected your family life? Well, I have never sacrificed for my family because I am from a business family and we understand that importance of family. I also learnt from my father, who after having worked for TATA as General Manager, left that at the age of 50 to start his own venture. Nobody has the guts to start working at that time. I am married into a family of entrepreneurs although my husband has a job. 8) What are some of the biggest mistakes you’ve made? I have taken people on face value and I have trusted people without malice. 9) What would you say are the top three skills needed to be a successful entrepreneur? Market opportunities, Patience and Passion. 10) What sacrifices have you had to make to be a successful entrepreneur? I was born with silver spoon and never really faced any hardship while growing up. However like I have said before when I started off as an entrepreneur I did it all on my own through my father guided me throughout my journey as an entrepreneur. 11) Describe/outline your typical day? I started my day at 5: 30 am with Yoga, Pranayam and Surya Pooja. I then have a cup of tea and plan my day. Whatever I plan for tomorrow I try and do it today. I drop my child for school then I go for walk. Once back I start work and wind up my day anywhere between 8:30 pm and 10:00 pm. I make sure I get enough sleep and that I meditate before going to sleep. 12) How do you generate new ideas? There is no foolproof strategy for generating new ideas. I take things as they come and plan accordingly. 13) Do you believe there is some sort of pattern or formula to becoming a successful entrepreneur? Yes, for successful entrepreneurship you should never get discouraged and never give up. Each and every entrepreneur goes through this phase and one must give ones best shot. 14) Who has been your greatest inspiration? My father is my greatest inspiration. Who moved my cheese is a book that I’ve read about 40-45 times. Every time I read the book I get a different perspective based on changes I face. 16) How many hours do you work a day on average? I work sometimes for 5-6 hours and sometimes it is non-stop 16-17 hours, but being an entrepreneur there is no thumb rule. 17) Do you feel formal education play vital role in business? Formal Education is not really a must as we have heard of so many successful ventures by school and college dropouts. However yes, formal education would give a different perspective to the process of starting up. 18) Does Master Degree in Management help in business OR you believe in real life experience as your Mentor? Both; for me both worked well. 19) What do you feel is the major difference between entrepreneurs and those who work for someone else? In the life of an Entrepreneur, there are many UPs and DOWNs; there are great heights and sometimes deep Lows, but there is a sense of satisfaction and ownership. On a job you get your salary, you don’t have to worry about staff and finances. 20) How do you build a successful customer base? Work quality and customer satisfaction bring repeat customers whether it is psychology, training or graphology. Myself, I am a self motivator. 22) Any movement you remember where you were broke down and thought of shutting down the business but later you motivate yourself and bound back to the situation? In 2006, I was going through a downfall and I decide to stop but I did not close the venture. I took a job as Lecturer and Trainer in Ahmedabad. Three years later I came back to my Business with guns blazing. 23) If you had the chance to start your career over again, what would you do differently? I would like to revive my cultural academy which I had started a few years back but had to divert to training. But it is a dream and I hope to start again. 24) How do you define success? Be Patience to be Successful. Be in yourself and believe in your own self. 25) Where do you see yourself and your business in 10 years? 20 years? Ten years down the lines I dream of a Public Limited Company and have the whole unit of different modalities of Psychology viz psychotherapy and other modalities working under one roof. I also dream of spreading Mocktail Gazebo across INDIA. 26) In one word, characterize your life as an entrepreneur. 27) If you were conducting this interview, what question would you ask? What made you become Entrepreneur? How did you manage your work and family, because balancing work and house is a task? 28) What are three pieces of advice would you like to give to college students who want to become entrepreneurs? Wish all the beautiful ladies – A Happy Women’s Day.